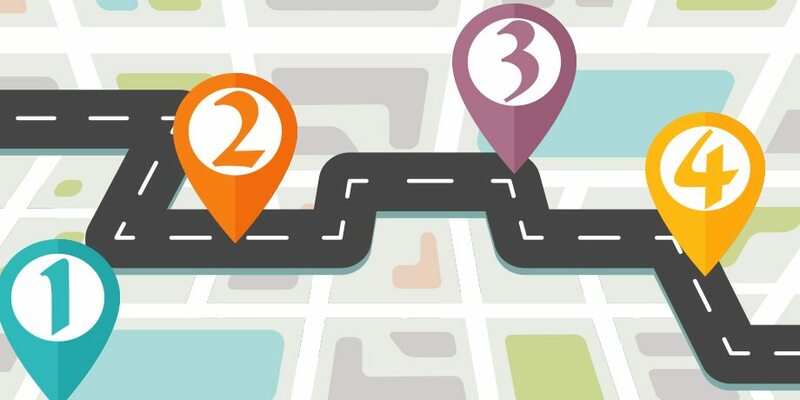 ICTO recently conducted an on-line survey to access the degree of user satisfaction on using the information and communication technology services provided by ICTO. The survey was conducted during 23 April to 11 May, 2018. Through this survey, it helps us in planning for continuous improvement and hence to provide better services. ICTO sent a total of 11,089 invitations via email, in which 9,520 invitations to students and 1,569 invitations to staff members. 1,044 replies (response rate 10.97%) from students and 421 replies (response rate 26.83%) from staff members were received. The rating from these 1,465 respondents is analyzed. 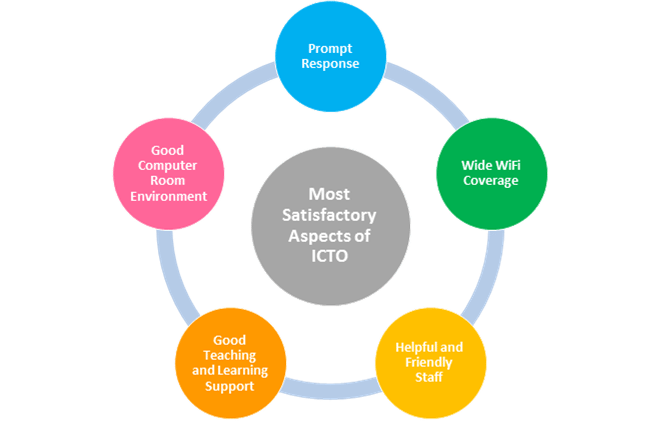 5 major aspects of ICTO that the respondents are most satisfactory with. 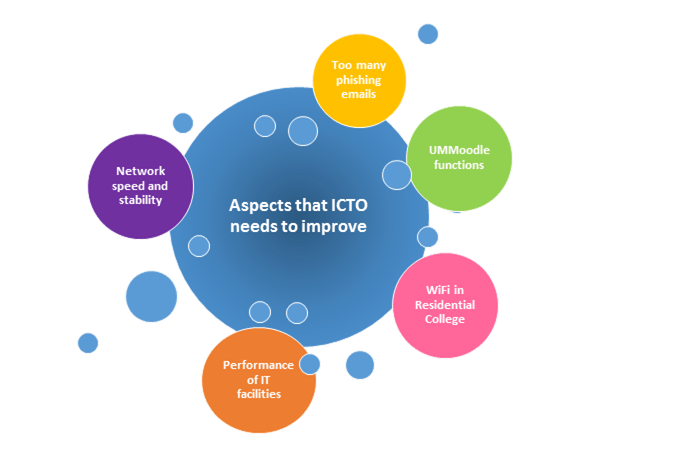 Aspects that the respondents think ICTO needs to improve.